I've been making photographs in the San Francisco Bay Area for over 20 years and I never get tired of photographing the new and familiar sites of the city and beyond. Each bespoke book is carefully handprinted and built by Rory in collaboration with master bookbinder Peggy Boston. 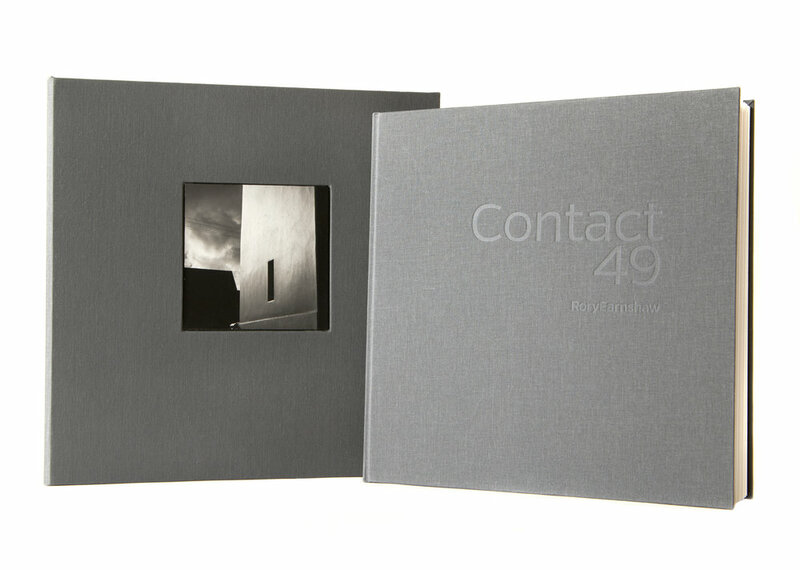 The 10"x 10" book has a linen cover and the entire series of 49 images printed on Hahnemuhle Duo matt paper. A 7 1/2" x 7 1/2" selenium toned silver gelatin print of "Mission Dolores" is tipped in to the back cover. This print is signed and ready to frame. The book is enclosed in a beautiful clamshell box with a smaller print of "Mission Dolores" stamped onto the box. This edition is limited to 10 copies.